Linguistic diversity is a hallmark of Switzerland. 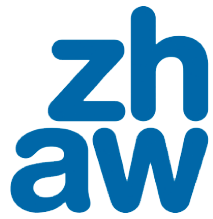 That is why it’s particularly fitting for Red T to present its advocacy work on behalf of linguists at risk to the students and faculty at ZHAW’s School of Applied Linguistics. What’s more, we are excited that this awareness-raising is happening practically in our own backyard; Winterthur, the site of the talk, is near the hometown of our founder, Maya Hess. Please join us and learn all about Red T’s vision for protecting translators and interpreters worldwide.